It’s not always easy to put yourself out there, especially if you’re already surrounded by a supportive community of people who want to see you live into your purpose, but meeting new people and expanding our network is essential to growth. Especially if you are looking for more support and encouragement in pursuing your purpose, I cannot overstress how important is to find YOUR people. These are my pro-tips for expanding your social circle. 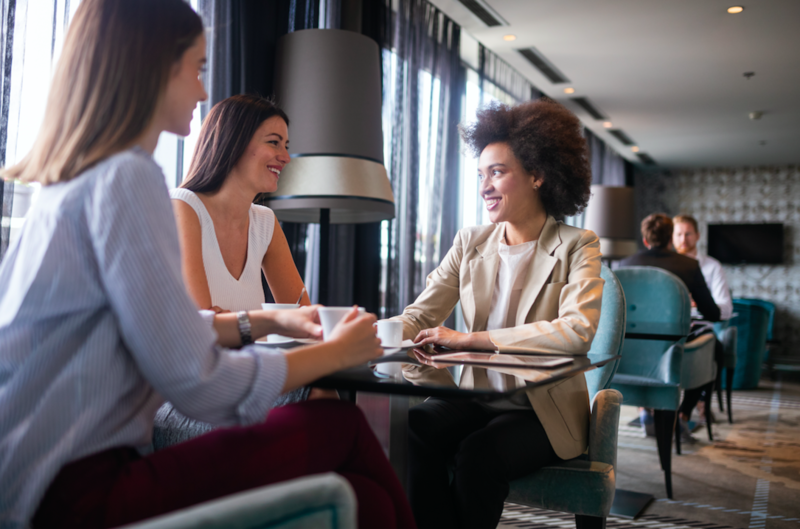 Getting more comfortable with meeting new people, even in a personal sense, will set you up to confidently make the new professional connections that will take your purpose to the next level. Pick five people you want to meet, and then reach out to them. You can make your list based off of what industries you want to explore, what companies you are interested in, people who you have been watching from afar and people you are inspired by. Follow through!! Send them a message on LinkedIn. Ask your friend to make an introduction. Give them a cold call. If you are thoughtful and genuinely interested in learning from someone, odds are they will be flattered and happy to engage with you if their schedule allows. Find an event that is happening in your area that sounds cool. I like to use Facebook, the newspaper, word of mouth, flyers at coffee shops, Eventbrite, or other social media to see what’s going on around the city. If you find something interesting, go BY YOURSELF, and commit to talking to three other people. You already have something in common based on the fact that you were both drawn to this event for some reason. If those ideas are too big, give yourself small challenges. One day, smile at every person you meet. The person in the car next to you, the person walking towards you, the person in front of you in line for coffee, smile at them! Not only will this help you meet some new people, but it will also make you feel REALLY good. When I was in college, I use to hand out little cards that said something like "You have won a Free Smile Pass-feel free to use it wherever!" It sounds corny, and it totally was. But it also was so fun. Another simple goal is to make a point to speak to everyone on the elevator. Or talk to the person that you see every day already—think baristas, the guy at the parking structure, the crossing guard at your kid’s school—just add one or two more sentences to your normal “good morning exchange.” If you do these small things, will it lead to the greatest relationship of your life? Maybe not! OR Maybe so? It’s a small step for a potentially great payoff. By making connections with those you interact with regularly, even in what may seem like an insignificant capacity, you’ll also feel more involved in your community and more confident when you encounter new people who share your passion for making the world a better place.